Nobody’s ever confused the Caribbean with a “budget” destination. Sure, you might find a sweet deal at an all-inclusive here and there, but even with cheap flights, staying in the islands can be prohibitively expensive. This is what happens when everything but rum has to be brought in on barges. There is a way to enjoy sandy beaches and tropical views without dropping a ton of cash. 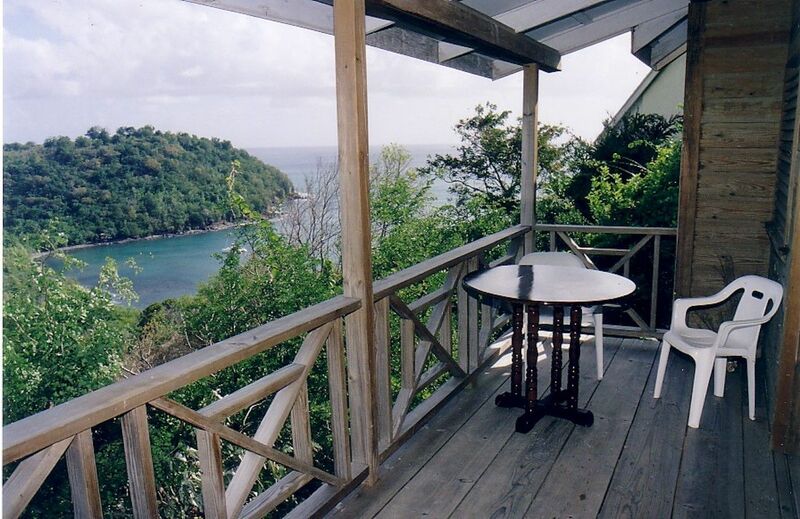 If you’re into a more rustic experience, you can find clean, comfortable Airbnbs all over the islands for well under $100 a night. Many are under $50, some nicer than fancy hotels. So if the Caribbean is on your mind for this winter, here are 10 places you can stay for pretty cheap. Though tiny-house living might not be for everyone, the views from this one — out over the lush Buccament Valley — will cure any lingering claustrophobia. The cottage is part of the Spirit of the Valley retreat, a series of four such houses with a private dam for swimming and their own donkey paddock. The house itself has a bamboo ladder you’ll ascend to the airy sleeping loft, where you’ll slumber nearly 2,000 feet above sea level. And if you get thirsty in the middle of the night, there’s fresh spring water coming out of the tap. Artists aren’t exactly known for living in the lap of luxury, so don’t expect a butler and Egyptian cotton sheets in this bungalow atop a hill. But who needs high thread counts when you wake up every morning to mountain-top views of the Caribbean? 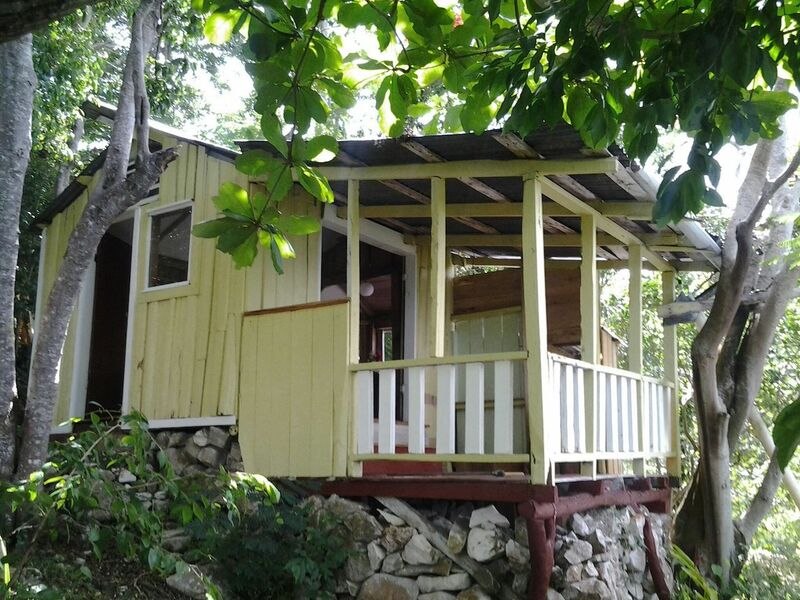 This cabin is directly across the island from Jamaica’s Montego Bay, so if you’re looking for parties it’s not your spot. But it will be peaceful and allow easy access to hikes, beaches, and the rest of the western part of the island. This is the smallest of the sleek, modern Lagoon Studios, a recently renovated efficiency complex a brief stroll from the white sands of Aruba’s Renaissance Beach. It has no kitchen and no refrigerator, which might sound a little bare — until you think about what’s included in your average hotel room. The fixtures and furnishings are all up-to-date, and nearly every guest comments on the cleanliness. Plus, you get free beach chairs, towels, and umbrellas so you don’t go home sunburned. 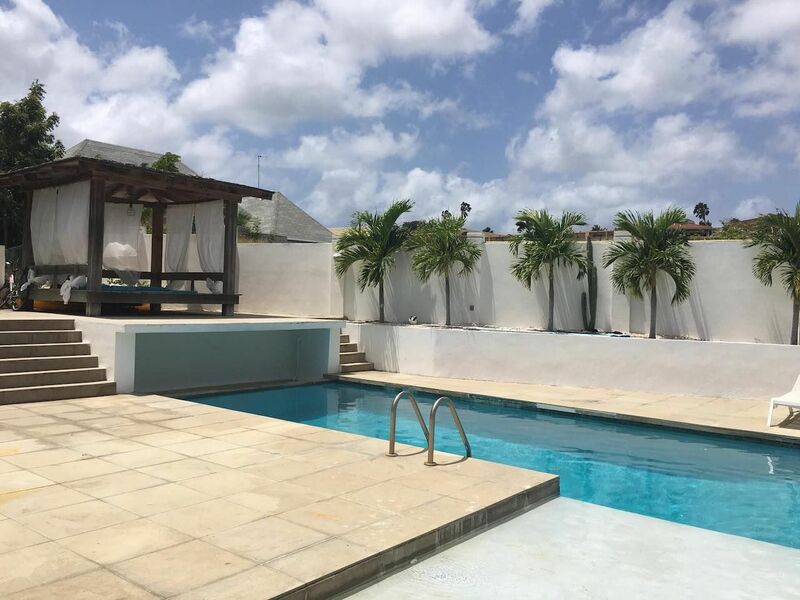 Though you might be tempted to spend all your time in Curaçao lounging atop the comfy chairs on your private terrace here, one trip to the Jan Sofat Resort’s sprawling pool deck and you’ll have a tough decision to make. The T-shaped resort pool is open to anyone who stays here, and while most guests euphemistically referred to the place as “cozy,” it does have an updated bathroom, a bright and airy bedroom, and plenty of space to relax in between dive trips. St. Lucia is still a rugged, natural paradise, but parts of the island have gotten a little… overrun. To experience the tropical wonders of the island in complete serenity, head to this little cove near the village of Laborie, where your rustic wood cabin has a hammock on the porch with a direct view of the Caribbean. Stroll down the hill and you’ll be on a beach all by yourself, making for one of the most romantic — if not scaled back — vacations in the region. Most trips to the Dominican Republic are of the beach-vacation variety, but if you want to check out the fascinating history of one of the oldest cities in the Western Hemisphere, you won’t find a better apartment to rent. Here, Tory rents you his rooftop bachelor pad, with a big rooftop deck boasting white couches, a couch swing, plants on the wall, and views of the entire city. 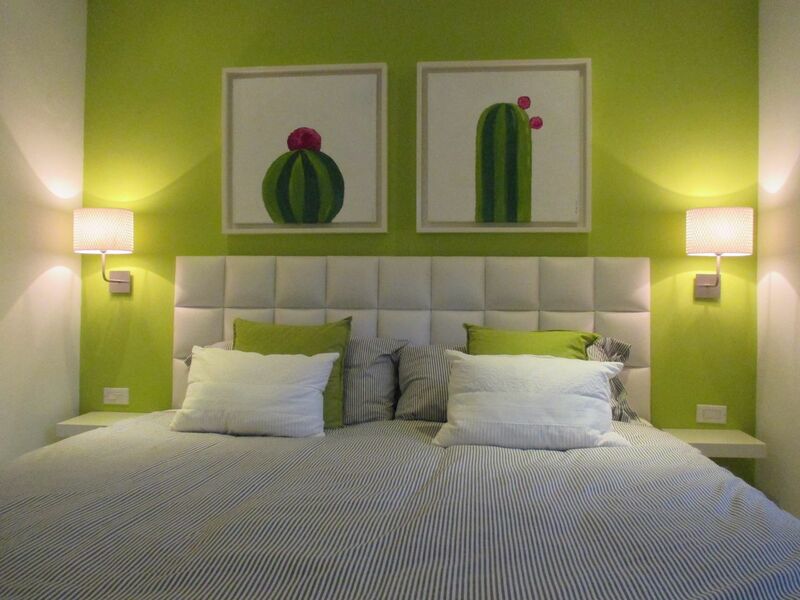 Inside, the bedroom has the same views, and the bathroom looks like it came from a boutique hotel. 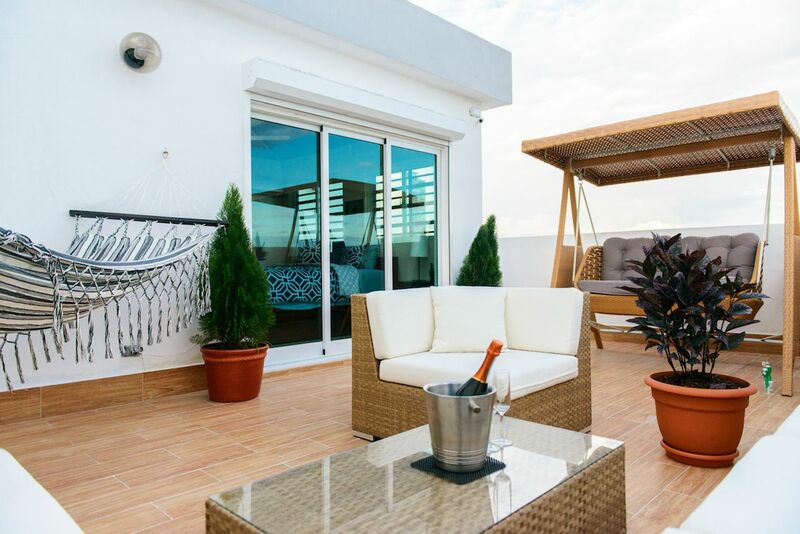 It’s a beautifully modern apartment that’s easily the best value in the Dominican capital. 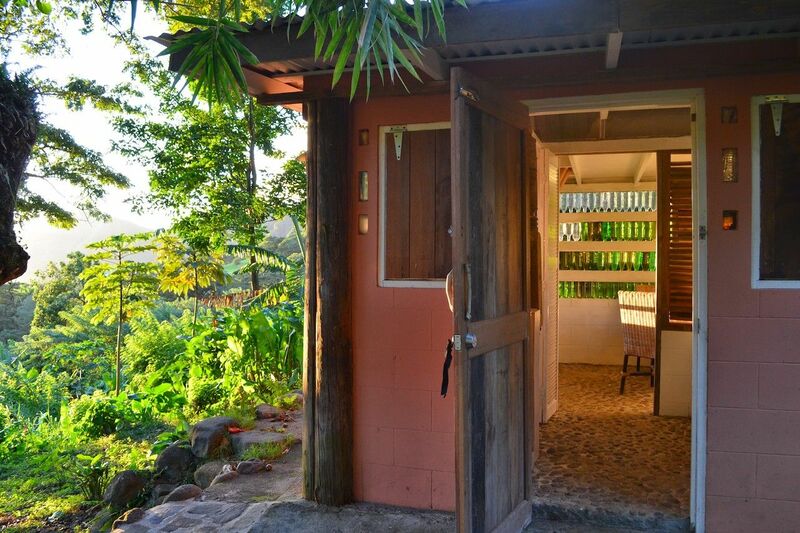 If you’re into avocado green — and who isn’t — this might be your bucket-list Airbnb. 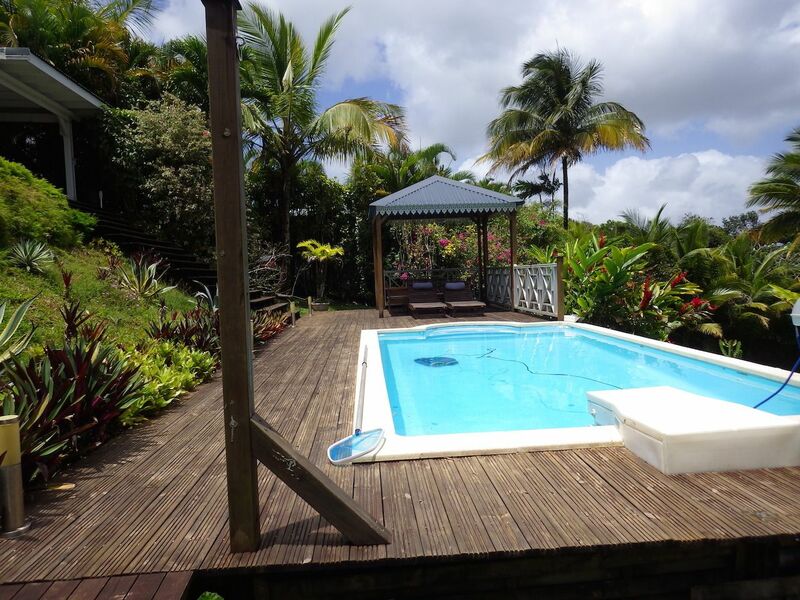 Set in a tropical garden in the middle of the little island of Guadeloupe, this charming bungalow features vaulted ceilings with avocado beams, avocado bathroom décor, avocado pod chairs in the living room, and avocado accents pretty much everywhere else. It also has a beautiful pool deck you’ll share with the main house and nobody else. And though beaches are about 20 minutes away, this retreat will make you feel like you’re staying in a refined, colorful jungle. 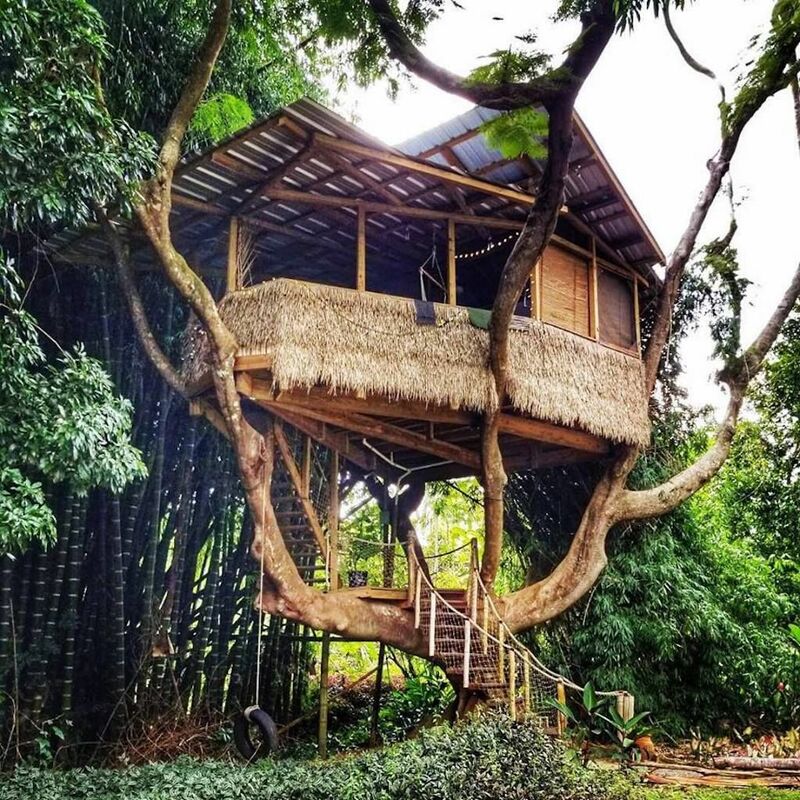 They pretty much had us at “treehouse,” but in case you needed any more convincing to stay in this wee home set 20 feet up in a Flamboyan tree, the thing is pretty much all outdoors, with a cool breeze passing through from the kitchen to the bedroom. The walls in this Puerto Rican find are all lined with natural grass, the bed has a veil over it, and there’s even a tire swing in front. Do heed the warnings, though: This treehouse is out in real nature. So there’ll be a symphony of frogs putting you to sleep, roosters waking you up, and neighboring dogs barking the rest of the time. Not only does this two-story, two-bedroom house have enough room to sleep two couples comfortably, it also has that rarest of amenities in cheap Caribbean Airbnbs: air conditioning. 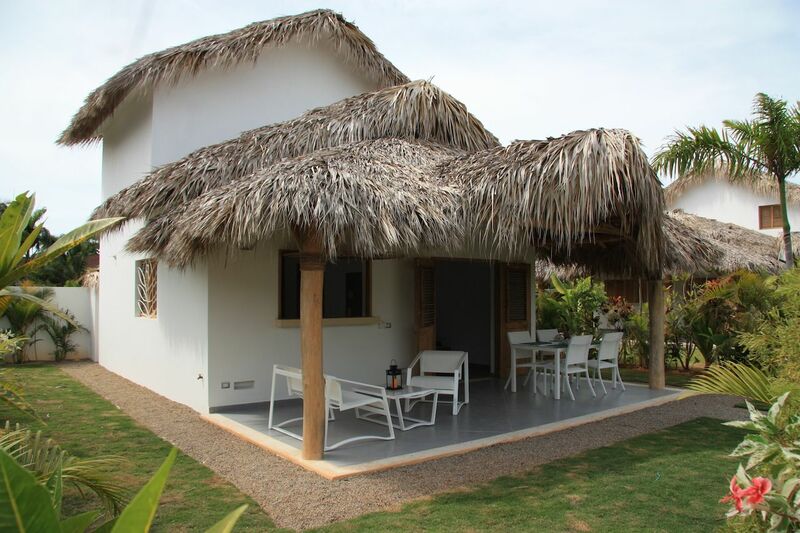 So after a hard day on the sand at Playa Popy — or any of the spectacular beaches of Las Terrenas — you’ll trek a whole 200 yards home and chill out in climate-controlled comfort. The complex also has a spacious pool deck, which is only slightly closer than the ocean. Plus each house has a private downstairs terrace, complete with barbecue. Here’s another title that doesn’t exactly scream “five-star luxury” — but for private accommodations on a luxe Caribbean island, this is one incredible value. For less than the price of in-flight WiFi, you get Kokolishi, a space full of light tropical breezes designed by an artist who works with recycled materials. 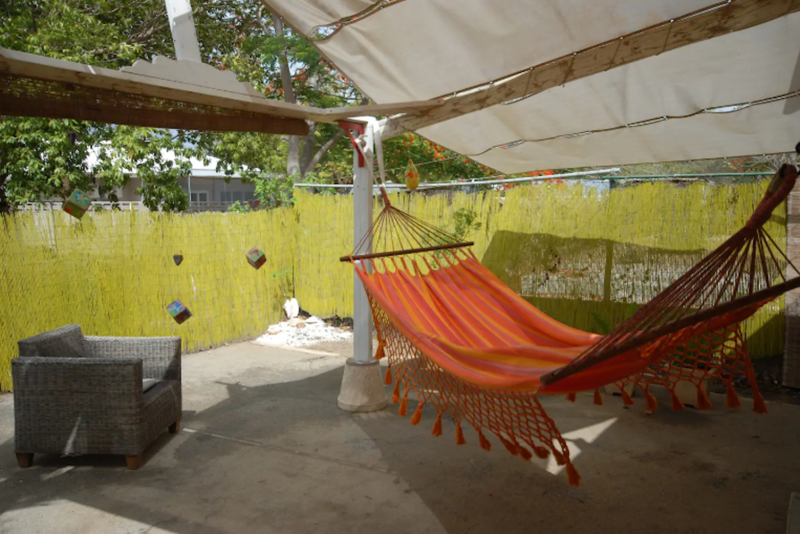 It’s a short walk to surfing beaches, and the owners even offer a special “surf shuttle.” Though if your definition of “bohemian” involves laying in an orange hammock all day, you can do that too.